Analytics are used to by businesses to portray, forecast and develop the performance. The predictive analytics, marketing optimization, web analytics, sales force sizing and optimization, price and promotion modeling etc. are the areas within analytics. Marketing today all about data, hence to determine the result of any marketing campaigns, requires the use of analytics. SEO Circle understands the importance of analytics in your business and thus provides the successful Analytics service in Mumbai. We use the different techniques and tools to gather information about the reader’s segmentation, conjoint analysis and so to communicate a good web marketing strategy for your business. Interaction on the website can be collected using sessionization to access the user’s interest in the web. This operation gives information in the form of keywords searched, references and other activities of the user. This information helps us in creating a perfect campaign for marketing. We not only just plan the campaign, but also design the structure as well as write the unite site content for the web page. Many organizations cannot use the structured as well as unstructured and semi-structured data in business systems. We with our Analytics service in Mumbai collect the data from external sources like social media, etc. to create opportunities for making good business decisions. As a part of the Analytics service in Mumbai we offer varieties of services to business owners. From basic data management to sophisticated analytics consulting we provide everything. How to reduce risks as well as costs and at the same time increase the revenues through smart decisions is what we suggest to you. Today traditional marketing analysis techniques are being used in analytics for web and the website optimization as well as online campaigns. We hence mix the techniques and tools to provide you with the best strategy for online marketing. 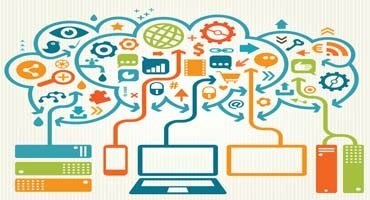 SEO Circle has been providing effective Analytics service in Mumbai using the tools and techniques used for marketing purpose keeping in mind the use of the internet to target the right customers. As a leading provider of analytics service, we help our clients to derive insights from data to draw potential customers.